The Avg. Group Saves 6.4%! 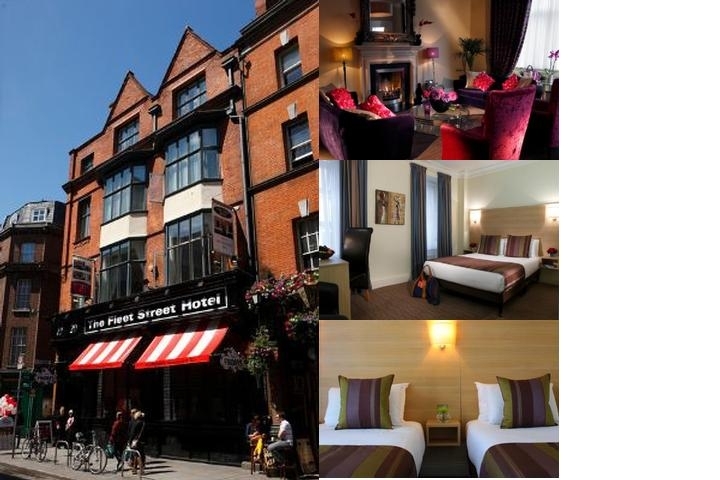 Perfectly located in the heart of Temple Bar, in the midst of cool cafes, traditional bars and trendy shops The Fleet Street Hotel offers affordable comfort mixed with modern style. Within a moments walk you will find major attractions such as Trinity College, the famous Grafton Street, O' Connell Street and The Convention Centre Dublin. Described as funky, cool and friendly, The Fleet Street has grown into its own, with newly refurbished hotel accommodation that offers a mixture of new elegance rooms, double rooms, twin rooms, family and triple rooms to suit each individuals' needs. Every room is individually decorated in crisp linen and shades of smooth chocolate and autumn toned soft furnishings. Each are equipped with en-suite bathrooms, power showers, flat screen satellite televisions and all day and night free Wi-Fi to ensure your stay is as comfortable as possible. Check in is guaranteed from 2pm but we will always try to accommodate our guests earlier if possible. Check out is 12 noon and an option of both continental and full Irish breakfast are served daily by our welcoming staff. Aswell as offering special group rates for breakfast, individual cost is €14.95 for full Irish breakfast or continental, €11.95.